Hemp Bombs makes some of the best-tasting, most affordable CBD edibles out there. Each gummy includes 10mg of pure CBD. The gummies are available in packs ranging from 5 gummies (perfect if you just want to try them out without breaking the bank) all the way up to a monstrous 60-pack. Hemp Bombs also offers free shipping on all orders over $75, so you can save big if you stock up and buy in bulk. Their customer service team is top-notch and always available to help you decide which CBD product is best for you. They also have a line of vape oils, syrups, hemp rubs, and capsules. No matter how you like to consume your CBD, Hemp Bombs has a product that is perfect for you. Koi is by far the most popular brand of CBD vape oil in the world at the moment, and for good reason. Their ISO certified, 100% natural, 99% pure CBD is extremely potent and has helped numerous customers live healthier, happier lives. But what many people don’t know is that Koi also has a line of CBD gummies. Each gummy contains 5mg of CBD, perfect for those times when you just need a small dose to get through the day. Their gummies have a delicious burst of tropical flavors. Each gummy is packed with a fruity, mouthwatering combination of lime; acai pomegranate, and tangerine. Koi CBD gummies are available in a 20-pack. Koi also manufactures a line of topicals, pet treats, and pre-loaded vape pods. There’s a reason that Diamond is one of the worldwide leaders in the CBD business. Their new line of Chong’s Choice *insanely delicious* edibles are packed with some of the purest CBD available. Diamond make a wide variety of tasty products including cake pops, gummies, and liquid shots. If you’re the type of person who only wants products that are made by one of the most reputable brands in the industry, Diamond CBD is the ultimate choice. 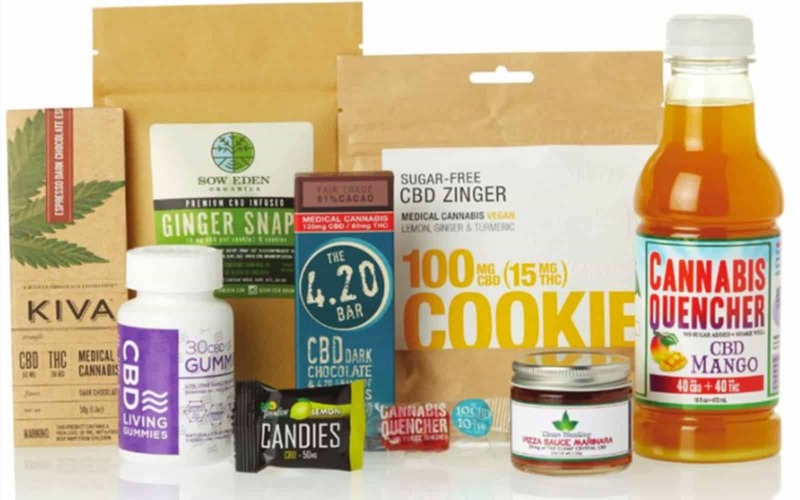 Click the button below to get an exclusive deal on the Chong’s Choice CBD edibles bundle while supplies last. Every Day Optimal CBD edibles are some of the most reputable gummies available today. All of their products are CO2 extracted for purity and consistency. They are third-party tested to ensure that you’re getting the best quality CBD available, and the third party tests back up Every Day Optimal’s bold claims. Every Day Optimal manufactures their products using a homemade recipe that tastes just as good, if not better, than regular candy. Each bottle contains 30 gummies with assorted flavors and colors, so you’ll never know which mouthwatering flavor you’re going to get each time you need to re-dose. Every Day Optimal CBD Gummies. Tasty Gummies give you all the health benefits of CBD in a delicious, flavorful edible format. Tasty Gummies are available in a 40-pack, with each gummy packing a whopping 25mg of CBD. If you want a higher dose with each gummy, this is the brand for you. Which is your favorite CBD edible? What are CBD edibles and what are the benefits? Cannabidiol, or CBD for short, is one of the approximately 113 active cannabinoids in the cannabis plant. As one of the major phytocannabinoids, it accounts for 40% of the plant’s extract. Manufacturers of CBD edibles isolate the CBD from the other components of the plant to create an extract that has numerous health benefits without the mind-altering effects of THC (the part of cannabis that gets you “high”). There are a few different ways to ingest CBD, including edibles, sublingual, pills, and vape oil. Many people choose to use edibles because they are discreet, convenient, and avoid the harshness on the lungs that some people experience when vaping CBD oil. CBD is completely legal in the United States and available to purchase without a medical marijuana card. What are the best CBD gummies? Previous articleHemp Bombs CBD Review: Is it Really the Bomb?